Super Rare (スーパーレア Sūpā Rea), officially abbreviated SR, is a rarity of cards featuring a non-foil card name and a foil card image. 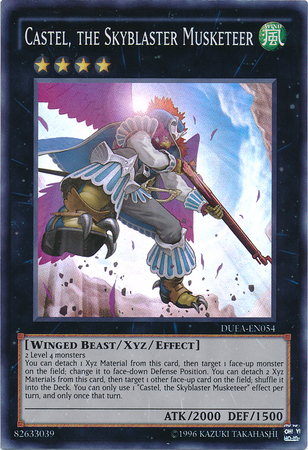 Starting with Nightmare Troubadour, video game promotional cards were printed as Super Rares. Starting with 5D's World Championship 2009: Stardust Accelerator, they were instead printed as Ultra Rares in North America, though they continued to be printed as Super Rares for European editions. Starter Decks and Structure Decks also usually include two cards printed in Super Rare, often two cards of lesser significance than the Deck's featured card. These are always predetermined. Although Duelist Alliance Super Rare cards changed in the set from 10 to 14, the chance of pulling one in a box was still 1:5. Starting in Breakers of Shadow, the chance of pulling a Super Rare was raised to 3:4 (1:1.33) with the introduction of a guaranteed foil. This page was last edited on 28 December 2018, at 14:14.